Ever since my spectacular failures grilling fish, I've become gun-shy grilling fish on the grill. They all come out. . . not pretty. Which is an understatement. I've had fishies that only its mother could love -- provided that its mother could recognize it as her childfish. Remember this?!?! There are more uglies in our "Ugly Fish" post. But, as they say, you only fail when you stop trying. Grilled whole fish is something I so love (pike mackerel), one of my most anticipated and most cherished food experiences ever, so I do want to keep trying. I picked up some tilapia at the supermarket. On most days, tilapia is the one fish that we can have alive, swimming in the fish tanks, at a reasonable enough price. Sidenote: I do miss my childhood, where we can have quite a goodly selection of freshly caught fish at the wet markets. Gone are those days. So here, me getting back my courage, I hedged my bets by tying up the fish with string. I also put some lime slices inside the cavity of fish, seasoned them simply with salt and pepper. I had a couple of jalapeno peppers losing their way and finding themselves in the thick of things. 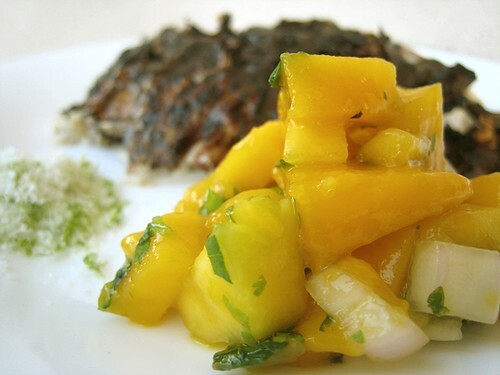 TS made some lime salt and we served the fish with mango salsa. Awesome grilled fish. I think I'm emboldened enough to try grilling fish again. if sister could see this, she is already licking my computer screen :-) hehehe what a beautiful pairing of flavors! Try grilled tilapia wrapped in banana leaves. Just leave both ends open para nde sya maging steamed fish lang. It super yummy specially if you stuff it w/ tomatoes and onions and a dash of patis. lime salt!!! love it. would be great on mahi mahi i bought last night! 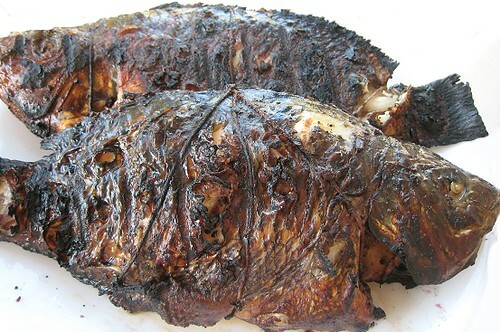 The grilled Tilapia with lime salt looks incredible. Nothing like a whole grilled fish for a good dinner. Always a fan of mangos, just wonderful. 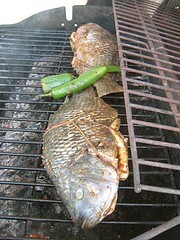 I love grilled fish, it's the first time I hear about lime salt. It's very refreshing! Lime and mango also match with each other, lovely. Thanks for the creative idea. Interesting post and your photos are mouthwatering! YUM! I love grilled whole fish. May not be pretty but tastes amazing. 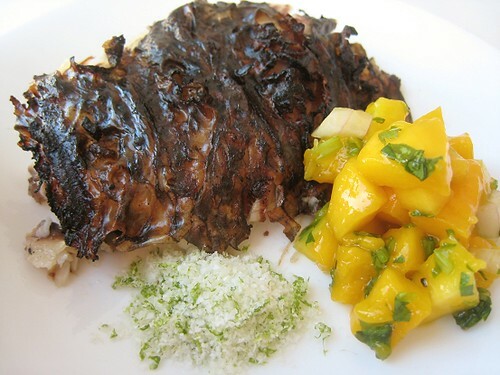 Great combo of the lime and salt and the blackened colour of the tilapia is most desirable. good for you going back & trying again! MMM....what a combo of flavors! i don't know why i never play with salt; so easy for such great payoff. must rectify. I love tilapia and that salt sounds awesome! 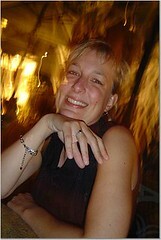 It doesn't look like you're having difficulties here - this looks good to me! That fish really does look fantastic. The lime salt sounds fantastic! The grilled Talapia looks incredible! I haven't seen lime salt before but it looks great! I've given up on grilled fish. So, I really admire this! But I'm not going to attempt it, I know my limitations. Wow, I don't think I ever saw a whole tilpia before, only the filets. I think you did a grand job of grilling those babies. The mango salad looks delicious! I am a salt-a-holic so this just made my day! 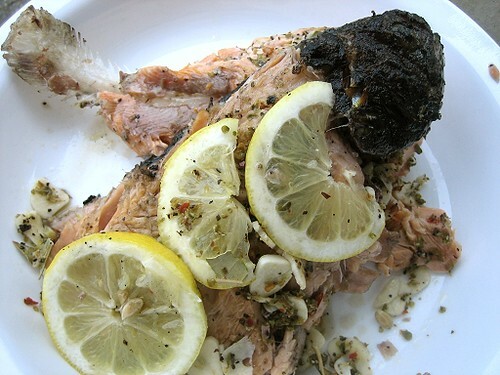 I think that grilled whole fish is one of those things that's just not all that pretty. In the realm of not-so-pretty fish, yours is at the top! :) The mango salad looks like a wonderful addition. Wooooow! Just lovely! When i was living in miami we used to have tilapia loads... don't come across it much here:( Love the lime salt! DELISH!!!!! It looks great! 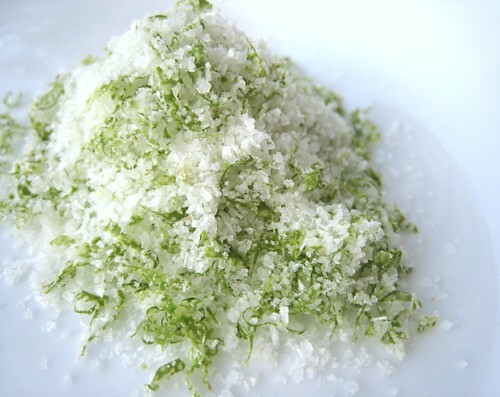 Lime salt, what a terrific idea. Say, I never buy tilapia, as I thought it had very little flavor, however, your method would definitely take care of that. What do you think about tilapia? lime salt!! what a cool creation! !.I also fail at griiling any food on open fire.So I just use overn to bake!! hahaha! !.Your fish must taste good!! I'm a fish lover! What a delightful looking dish. I don't normally eat seafood, I live in the desert Southwest and you never really know how fresh the fish is going to be. But I would definitely make this recipe. Thank you for visiting my blog. I hope you come back, I know I'll be back here. I remember once serving tilapia to a woman back in the day. She was horrified to find out it was served whole and refused to eat it. 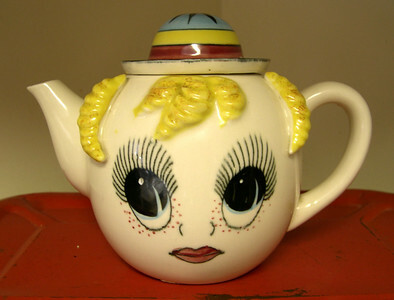 I later chased a bus-boy around the dish pit with it. People always talk %^&$ about tilapia.. It's probably because they've never had it grilled whole like this. Looks so good. You've got me here drooling big time! I'm afraid to grill fish too but love eating em! Your grilled fish looks like something I'll eat... looks yummy! I'm enamored with that lime salt. I need some of that!! Haha, grilled fish success for JS at last! We wish we have a CHARCOAL grill. Tilapia doen't have too much flavor, so it can take any type of flavoring you wish to give it. Not our favorite fish, but it's always available very fresh (ie, live). Tilapia: the fish everyone loves to hate? Our brother doesn't like freshwater fidh he says... tastes of lupa (earth). The ones we've had lately were perfectly fine. I don't buy tilapia here in California. They're too big, come frozen and the flavor of their meat not quite the same. "Malansa..too fishy. Wow, now that's how a properly grilled fish looks like. Fantastic job! I don't see any really big tilapia here. Even the frozen ones sold as fillets are quite small. Also, I don't know what the difference is between the "regular" tilapia and the pinkwhite tilapia sold in the supermarket (both kinds are live). LOL - I know what you mean. We grilled whole seabass which my husband then took off the bone and served with buerre blanc... and it looked like a train wreck. Tasted like a million bucks but looked a mess. Still, the proof of the pudding's in the eating! Looks like you've worked the kinks out. This looks amazing. Love the lime/salt combo. Thanks for the heads up. I'm not too sure if they were farm-raised. We don't eat tons of tilapia... everything in moderation.